Late in December I attended a culinary immersion at Houston Independent School District (HISD) hosted by Schwan’s Foodservice. The company brought in commercial chefs and its corporate chef to talk with students and do menu ideation. 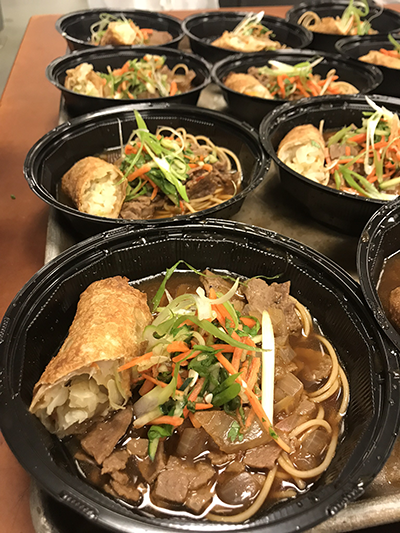 The week saw several new menu options—from pulled pork sandwiches and pho—that students were able to take for a test drive at a tasting event. The winning dish was a Korean barbecue beef taco. 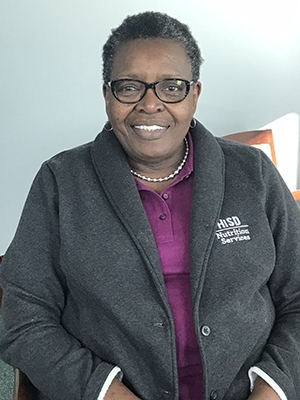 During the visit, I had the opportunity to sit down with HISD’s new director, Betti Wiggins. Wiggins has made a name as a school nutrition hero at several districts, including most recently Detroit Public Schools, where she created a program that increased meal participation and community involvement in a city ravaged by economic woes. Now in Houston, Wiggins is looking to bring change to a district that recently transitioned to self-op (it had been operated by a management company for nearly 20 years). It hasn’t always been easy; one of her first hurdles was Hurricane Harvey, which devasted Houston. FM: What brought you to Houston? Wiggins: They were going through a management transition and they were looking for someone who had a history of going from a management company to self-op. And that’s what I did in Detroit. The eight years that I was there we had a nationally renowned program. We had plenty of fund balance, my kids were eating, and we were doing some innovative things. Houston recruited me. I was very happy in Detroit, but the challenge of coming to a school district that had been under a management company for 20 years and having the leadership here recognize that we really need someone that’s gone through this experience. What I did in Detroit was take the management fees and put that into food. That was one of the reasons that I could feed children better—because I had more money. And the same thing is happening here. FM: Was Harvey an impetus to get some of those community-building programs going in Houston? Wiggins: I think Harvey did a lot to help us to come together as a community to work and see how we could come together to feed children better. I had never been in a place where it’s not the storm that was so bad, it was after the storm and trying to put your life back together. That’s when I realized the role that schools could play in supporting our families. If we can’t support our families, how do you expect them to get to school? If we have a snowstorm, you don’t have all that aftermath and stuff. You might be out of electricity, but this thing destroyed people. People had to move. I learned I learned to have appreciation for this community. I saw this community help each other. No man is an island and I don’t think that I can do everything by myself. So it’s important for me to reach out because I don’t have all the skill sets. The thing I told people in Houston is that I came from a place that suffered an economic disaster and we had to fend for ourselves. There were no jobs, no resources and our tax base was being diluted. We depended a lot on working together and we had to repurpose things that we had. 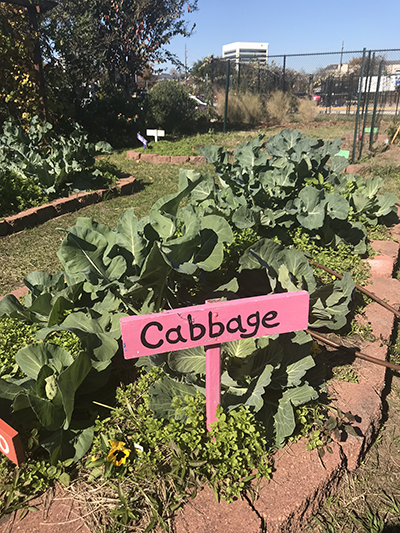 That’s how the garden program got so big—I got tired of looking at vacant lots. What I tell people about Detroit is that there was an economic disaster and there was no help on the way. This was a natural disaster, but people just immediately said we’re in this thing together. So you start reaching out to everybody. FM: What have you learned about Houston that surprised you? Wiggins: This city has so many resources. I’ve got the food bank down the road and Urban Harvest, this not-for-profit and that one. I thought, I don’t have to do this, you can do that. But maybe I can coordinate some of the activities. Maybe I can focus on feeding kids. Or they are so big and so busy and they don’t know how to. It’s like the supper program. When I came here, they had outsourced their supper program. We went from serving something like 7,000 meals a day to 19,000. Maybe it was my fresh eyes that asked why we had this agency in here doing something for our kids and garnering the revenue and having control of the menu. The other thing is the culture. This is completely different to me. When you said Texas to me, I thought it was west. I’m in the Deep South. I did not known Houston was South. There’s gumbo and étouffée. And plenty of beef and barbecue. FM: What are some of the initiatives you are working on? Wiggins: One of the things that we’re working on, and it was a reaffirmation of Schwan’s coming here, is that we’re working on our own Lunchables, our own rice bowls. We started salad bars last year and this year all of the schools have salad bars. We have them in 157 elementary schools and 35 of the middle schools and all the high schools. What we’re going to work on is we’re 75 percent clean label, whatever that means. What it means to me is that we have minimally processed foods that don’t have any bad stuff in it. We’re trying to find products that don’t have high-fructose corn syrup as the first ingredient, so we’re using cane sugar. FM: What about the food inclusion and food literacy project? Wiggins: I have a physician on my staff now. She has two dietitians and what we’re trying to do is teach kids to think critically about their food so they can make choices and we can impact their health. We’re trying to serve good food. We don’t want to call this school food, so we started Good Food [the marketing program for the school meal program] and we’ve been campaigning around that. Our objectives have been included in school improvement plans. We’re now chairing the school health committee because of [the physician]. Our message and what we’re trying to say is right in the forefront. We’re going to train teachers to teach about ecology of food, botany of food. My dietitians go in and train the teachers to go through a lesson plan that have objectives that are tied to testing. We have something called Parent University where we talk to parents about how to shop and use coupons, so food literacy. We take them in the kitchen and show them how to cook a healthy meal or use their food stamps to go further to get healthy food. It might be incremental, but it could impact their health. They now have an awareness. The cafeteria has now become a laboratory. That’s what food inclusion and literacy is to me. That’s my vision of feeding kids. It goes beyond just putting trays across the line. That’s boring. The first year I came here we had $208,000 in bad debt and it was not coming out of the schools that were high free and reduced. Everybody thinks that all we serve is poor people. I talk about hunger at the end of the cul-de-sac—those are the [middle class] kids that have overdrawn accounts—those are the kids for whom everybody thinks life is good, but those are the kids that are going to the gas station and coming out with a Honey Bun and that’s lunch. Child nutrition is not just about poor children. We feed all kids. It’s about equity. Food inclusion. It’s all the things that we can do to teach the kids that you’re no better than I am.